Garden run as a commercial enterprise in the outskirts of Morwa. 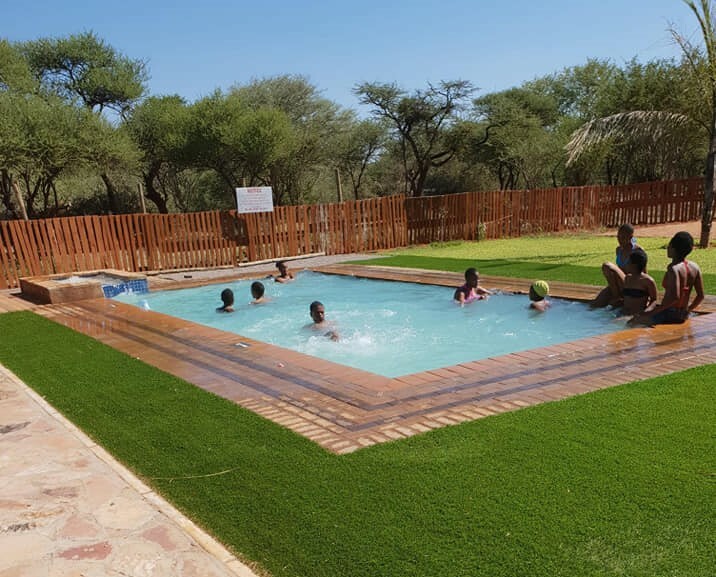 Sabi Sabi Garden was one of the first to be in-between to villages in Kgatleng region, with straight walks, regular rows of trees, and secluded areas for dalliance, various garden-buildings to heighten perspective and statuary. Intended for a wide spectrum of society, pleasure-garden provides musical entertainment, food, drink, and opportunity for much ogling and quizzing, so acquired a raffish reputation. Containing an elegant outdoor spacious and interior where persons of quality could take tea and other refreshments while listening to music, fashionable pleasure-garden. Known for its creative and well-crafted events that accommodate all age groups, ranging from retreats, team building sessions, weddings and parties. This year the garden introduced an outdoor movie night dubbed couples retreat edition held on 16th of February.